Super easy conversational user interface that helps visitors purchase an insurance. One of the main challenges in the insurance industry is to convert visitors to paying customers. Usually this requires users to go through a complex business process with multiple steps such as selecting the type of insurance, providing personal details and performing a payment. In many cases these steps are confusing for end-users as they require understanding of the insurance terminology, choosing an insurance type from a large range of options and dealing with legacy systems with unfriendly user interface. 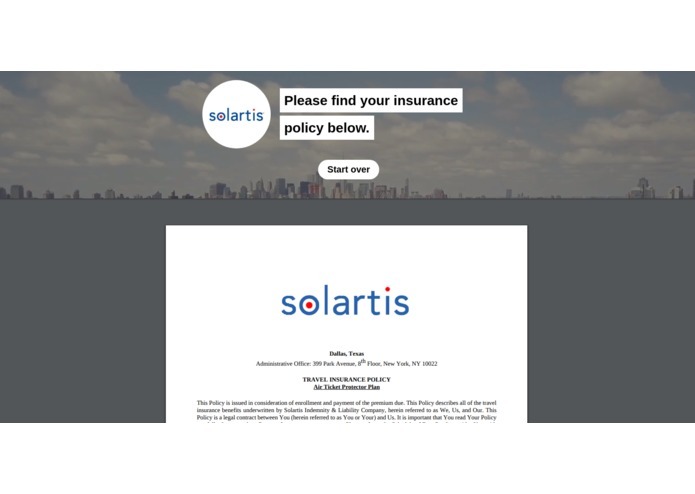 Our solution is unique and it has the power to disrupt the Insurance industry, especially when it is combined with the powerful back-end provided by Solaris. We used Traditional User Interface together with Conversational UI, Voice, Video and Artificial Intelligence to create an intelligent Insurance Assistant that provides an end-to-end service to customers. Our solution guides users step by step through the complex business process of selecting and purchasing an insurance. It is superior to existing solutions because it uses an intuitive user interface and explains to users what they should do at each step. We believe that this will result into an increase in the conversion rates that insurance companies observer when they are selling their services using the Solartis AI Voice Assistant. 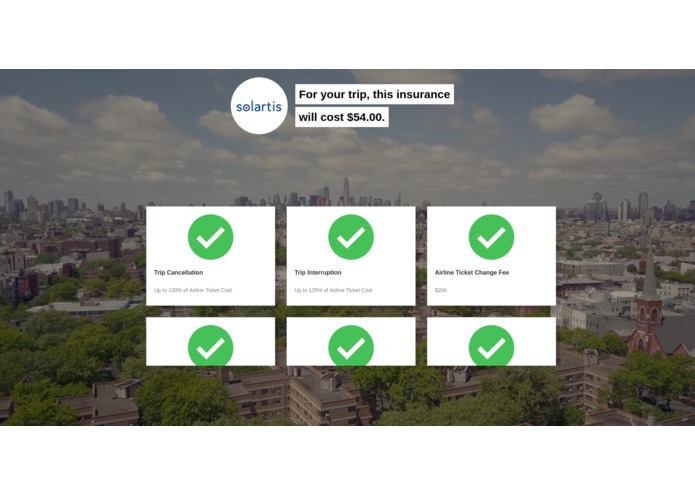 One of the biggest challenges was to build the most intuitive user interface possible, so that anyone can use the Solartis AI Assistant to purchase an insurance. 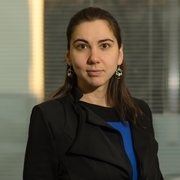 Usually insurance systems are complex and difficult to use, so we had to innovate in order to apply the most cutting edge technologies such as AI, Voice and Video to solve this problem. We are very proud of the combination between Video and Voice that we have developed which is unique in the world. We are using Video Streaming in the background to make users feel comfortable and subconsciously build trust in the system. On top of that, we enable them to choose what they want to do next and control the flow of the conversation. The voice makes it easier for them to process information and they feel a personal touch. 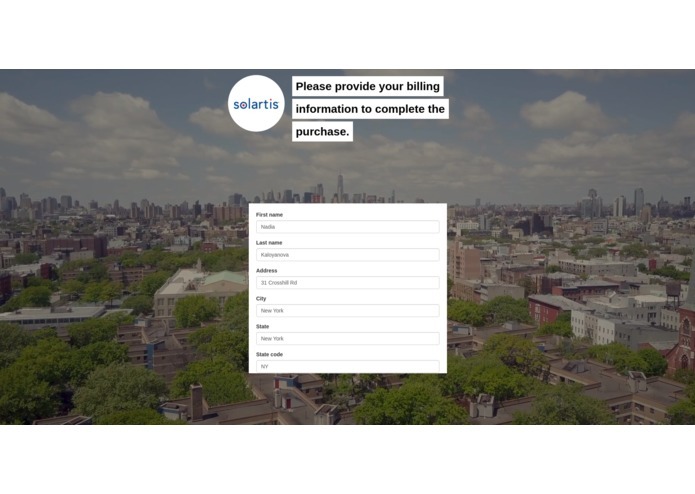 We would like to develop the Solartis AI Voice Assistant into a complete product that hundreds of thousands of users visit every day to purchase their insurance. We would like to cover not only travel insurance but also all types of insurances provided by Solartis. 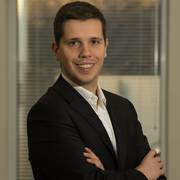 We are also interested in partnering with Solartis in order to bring this AI Assistant to the next level and make it really useful for everyone.